In its editorial on July 22, 2015, China Daily commends the launch of the New Development Bank by BRICs member countries. The New Development Bank of BRICS that was launched in Shanghai on Tuesday is by no means a challenge to the existing international financial system. Instead, the multi-billion dollar development bank initiated by the BRICS members, Brazil, Russia, India, China and South Africa, is a much-needed complement to the International Monetary Fund and World Bank. By focusing on financing infrastructure projects mainly in its member countries, at least in the early stages, the NDB will give a considerable boost to the growth of the BRICS countries, the main driving force of global growth over the past decade. These major emerging countries' combined GDP was only about one-quarter of the United States' at the turn of the century. Now, they represent a GDP roughly as large as that of the US while contributing nearly half of the global growth. Admittedly, cyclical and structural challenges have, for the moment, made the BRICS growth story less dramatic than it used to be. But if the scale and growth potential of these major emerging countries continue, there is little reason to doubt their growth prospects in the long run. In a sense, the new bank is a vote of confidence by the BRICS countries in their own outlooks for further development and prosperity through closer cooperation. The NDB's success will not only be defined by how much it will help advance development in the BRICS and other emerging countries around the world. More importantly, it will also be determined by its ability to cushion developing countries against the headwinds stemming from the global crisis, and its ability to give a much-needed helping hand to the current international financial system. By downgrading its 2015 outlook for global growth to 3.3 percent, the slowest pace of global growth since 2009, the IMF recently sounded the alarm over the fragile global recovery. If the US raises interest rates later this year, it is more than likely that outflows of international capital from developing countries will only accelerate, making things even uglier for emerging economies struggling with currency devaluation and soaring inflation. The newborn NDB may not be able to reverse this trend. But as long as the bank and the fund pool of the BRICS can help cushion instability in the currency market to defend the health of the global financial system, the world will be thankful for what the BRICS countries have joined their hands to do. 2. Is it wise to remove medical subsidy for foreign workers? In its editorial on July 21, 2015, The Star argues for healthcare subsidies to be made accessible to all. It is reasonable to believe that a change in public policy is for the greater good. The assumption here is that even if the new rules dis­advantage some of us, the whole country benefits from the overall effect and all of us will ultimately be better off. But there are such things as unintended consequences, including those that threaten to wipe out whatever gain that is expected from a policy improvement. For example, many people may see an imbalance in the fact that foreigners in Malaysia get subsidised healthcare when they go to government ­clinics and hospitals. 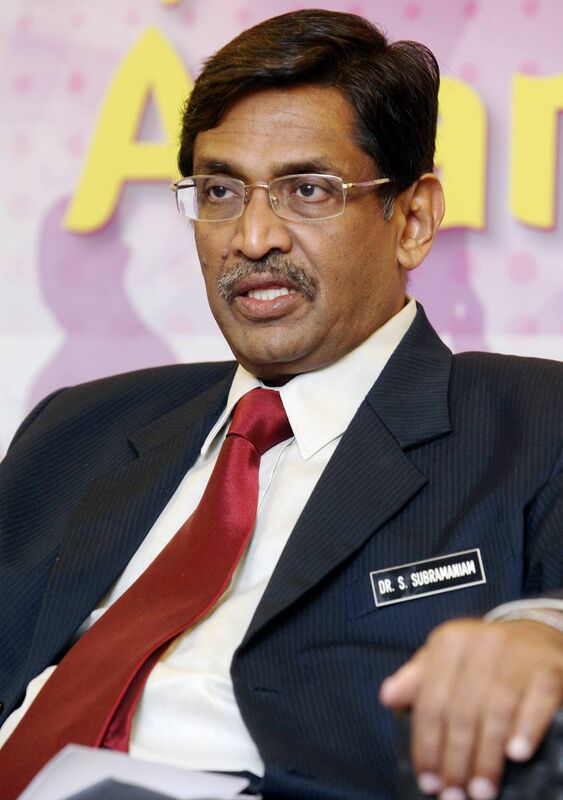 In February last year, Health Minister Datuk Seri Dr S. Subramaniam said foreigners were taking about 30 per cent to 40 per cent of the allocation for medical treatment meant for Malaysians. "They are eating up our medical subsidy," he was quoted as saying. The Government has decided that foreigners will pay the full cost of the services provided by public hospitals and clinics. The subsidy they enjoy will be gradually removed over four years, beginning in January this year. Eventually, the foreigners will have to fork out about twice what they were paying last year. But now that foreigners' medical expenses have increased, are we prepared for the possibility that this will lead to other public health issues? This is the question that Sungai Siput MP Dr Michael Jeyakumar Devaraj has raised when applying for a judicial review of the new fee structure for ­foreigners. He argued that the higher ­charges will deter most migrant workers from seeking treatment, and this may cause diseases to spread. Dr Jeyakumar was once a chest physician and he therefore knows plenty about tuberculosis. He used that background to drive home his points about why we should worry if poor foreigners are less likely to get medical attention. He said a foreigner would need to spend RM92 to get checked for TB. This includes the registration fee and payments for basic tests. He pointed out that there are about two million undocumented migrant workers in Malaysia. They do not go for medical screening and thus represent a major cause for the rise in TB cases here. For them, it is not just about the money. Government hospitals and clinics are obliged to report patients who are illegal immigrants to the police and the Immigration Department. According to the Health Ministry, TB cases had climbed by 6 per cent to 10 per cent annual­ly in the past five years. In 2003, 15,912 contracted the disease. Last year's figure was 24,711. A report in The Star in March quoted Health director-general Datuk Seri Dr Noor Hisham Abdullah as saying that foreign workers were among the "notice­able causes" and had contributed to between 12 per cent and 16 per cent of TB cases in Malaysia since 2008. And we are talking about just one infectious disease. This situation calls for a rethink about weighing fairness and financial burden against the role of the public healthcare system. As taxpayers, we want government funds to be distributed efficiently and to benefit Malaysians first and foremost. But we must also realise that for a country to truly fare well, its healthcare needs to be accessible to all, even if they are poor or not Malaysian or both. In its editorial on July 21, 2015, The Yomiuri Shimbun calls for teaching to be free from political leaning. How can political neutrality be ensured as the education of high school students as voting citizens is set to go into full swing? Schools and teachers face this question following the passage of a bill to revise the Public Offices Election Law that will lower the voting age to 18. The Liberal Democratic Party's Education, Culture, Sports, Science and Technology Division has submitted to Prime Minister Shinzo Abe a report of recommendations on education of high school students as voting citizens. The report calls for a legal revision to make it possible to impose penalties on teachers who deviate from political neutrality. The Law for Special Regulations Concerning Educational Public Service Personnel restricts political activities by public school teachers, such as calling for support specific political parties and candidates, in a way similar to the restrictions on national government employees, but no punishment is imposed on violators. If teachers press specific ideologies on students, it will have a negative impact on them when they are required to acquire knowledge and learn about politics without prejudice. The direction put forth by the LDP recommendations for emphasizing political neutrality is understandable. But it has been left up in the air where to draw the line for determining what classroom lessons deviate from political neutrality. There is a cautious view even within the ruling coalition about giving precedence to discussions on punitive measures. In educating high school students as voting citizens, it is imperative not to treat political issues as taboo. It is essential to devise innovative methods to enhance students' interest by conducting practical classroom lessons such as holding mock elections using the campaign pledges of political parties. Such divisive issues as consumption tax, national security and the restart of nuclear power plants are expected to remain points of contention in future national elections. What kinds of teaching methods are necessary to ensure balanced learning for students? The Education, Culture, Sports, Science and Technology Ministry must present concrete guidelines in this regard. Another point of contention is to what extent high school students can be allowed to conduct political activities. In 1969, the then Education Ministry issued a notice denouncing political activities by high school students as undesirable. The notice was issued against the background of some high schools having been barricaded under the influence of actions by university student movements. Given the lowered voting age, the current education ministry plans to reexamine this notice by this fall. Concerning this matter, the LDP recommendations said that political activities both at and outside school "should be fundamentally restricted." It is advisable to think about how political activities by high school students should be handled while noting the point that schools are places for providing education. If a 17-year-old high school student were to engage in election campaigning in cooperation with an 18-year-old classmate, it is suspected that the activity would constitute a violation of the Public Offices Election Law. In cooperation with the Internal Affairs and Communications Ministry, the education ministry has been compiling supplementary teaching material that includes points to watch for regarding high school students and elections. Efforts must be made on a prefectural level, too. It is advisable for boards of education and election administration commissions to work together to establish a consultation system on the matter.